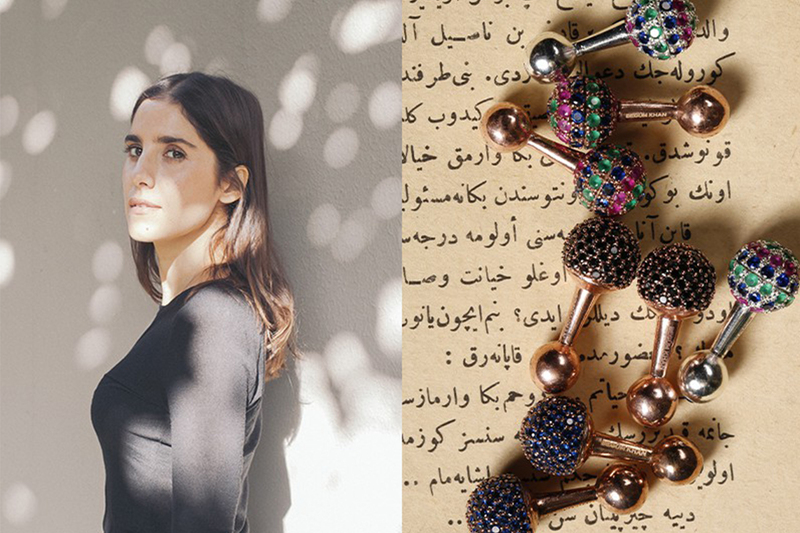 A talk with Begüm Khan… a woman who designs jewelry for a man better than he ever would for himself! The market for men’s jewellery is rapidly expanding, and sadly not always for the best. So let’s rejoice when originality, quality and a dash of cool combine. 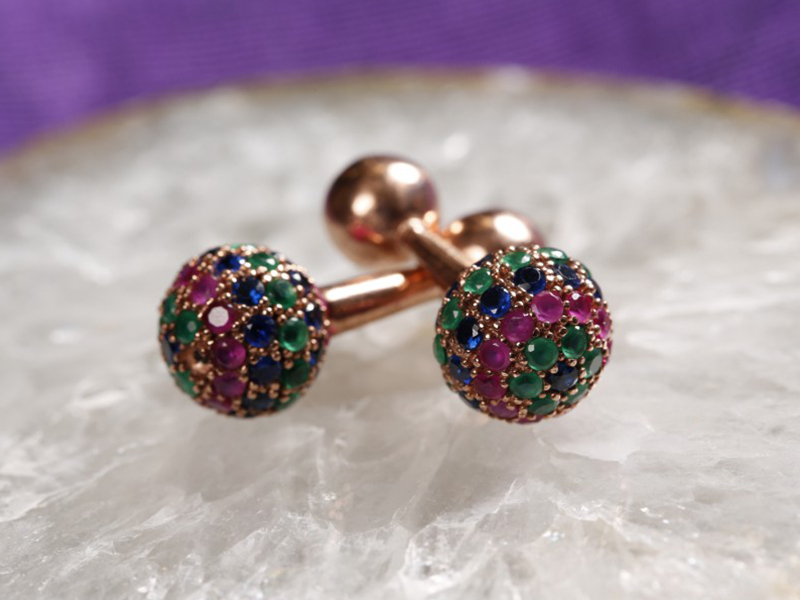 The ravishing cufflinks of Begüm Khan have already taken the world by storm. A discreet ascent allowing the brand to nurture its luxury positioning. Meet the young Turkish designer behind it all, Begüm Kıroğlu, the woman who may just know the way to a man’s heart better than men do. In addition of being the author of The New Artisans (2011), The New Jewelers (2012), Olivier Dupon just launched his latest book named “Fine Jewelry Couture”… As a freelance reporter for The Eye of Jewelry, Dupon managed to interview Begüm Khan, founder of his eponymous jewelry brand. Born into a family of established Ottoman antique collectors, Begüm’s childhood was immersed in art and beautiful objects. “From the start I embraced the creative influences that surrounded me. To this day, I am inspired by heritage style, old world creations, oriental arts and antiques”, she notes. 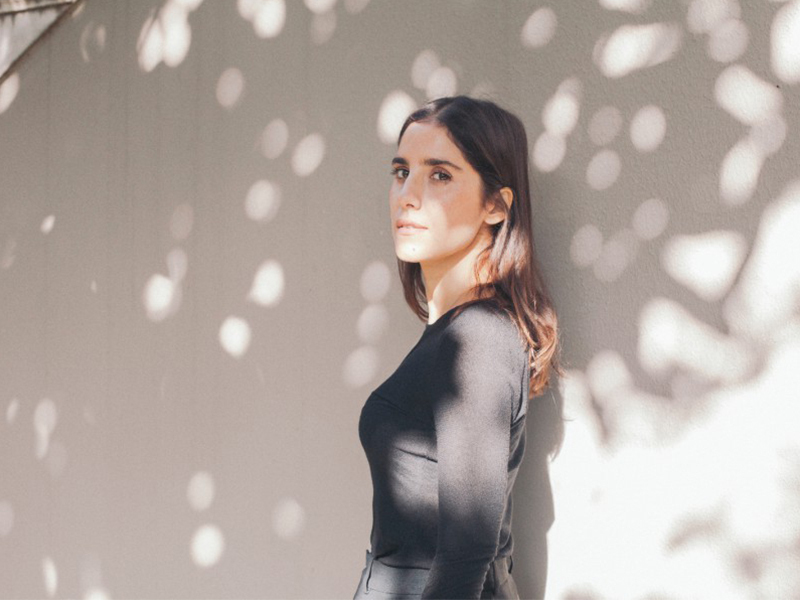 “My fervour for heritage design is firmly rooted in family antique hunts in the hidden nooks of Istanbul and old neighbourhoods around the world.” Let’s explore this ‘fervour’ with Begüm Kıroğlu herself. 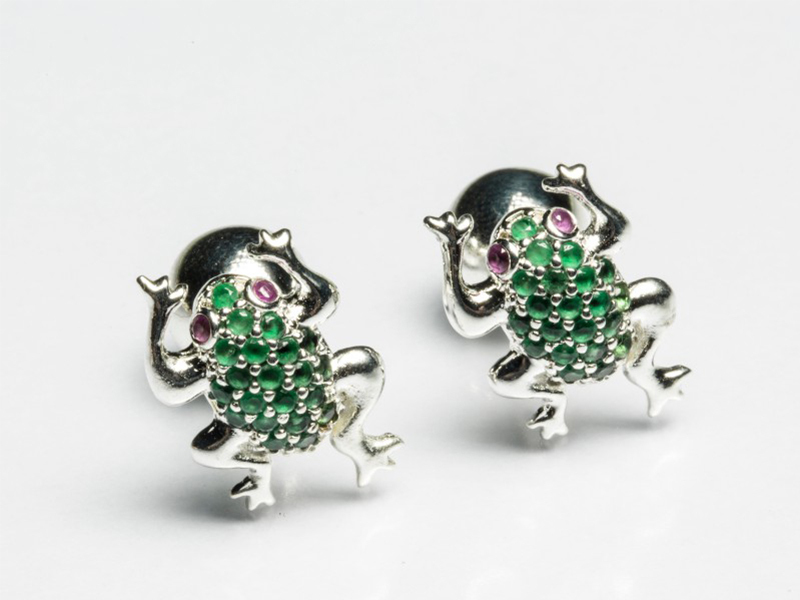 What does jewellery design mean to you? I think jewellery is where art meets design and fashion. I love this about it! 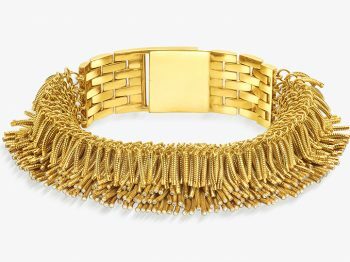 The essence of jewellery is so sculptural and artistic, yet the design has to be contemporary and follow today’s zeitgeist. There is so much inspiration available to me, a broad horizon to play with shapes when creating a piece of jewellery. I love art and design. 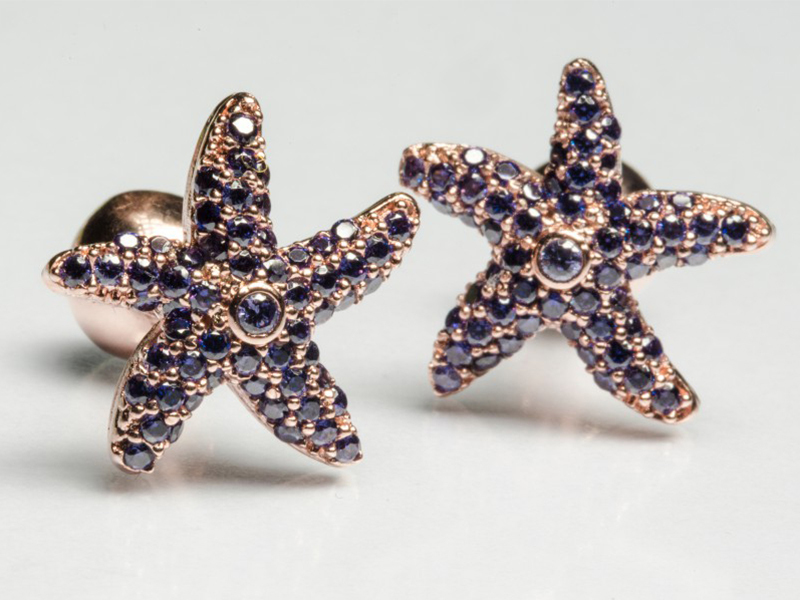 I started my cufflinks brand by accident when I designed cufflinks for my brother. 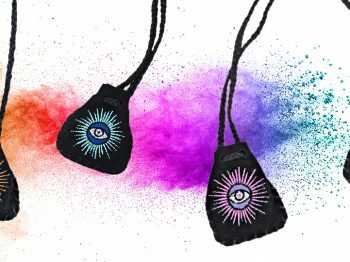 Now I also design clothing, bags and home accessories. I believe that my creativity is that of a fashion designer. Creating new designs really excites me and seeing the result is what makes me happiest. I never thought that I would start a brand; it was never my aim. I first studied business, then management at Bocconi University in Milan, and finished with a master’s degree in Chinese Culture and Art at Shanghai’s Fudan University. Having a versatile background helped me broaden my horizon and see things from a different perspective. Though originally from Istanbul I have been living in Shanghai for six years. One day, back in my birth city, I went to the magical Grand Bazaar as I always do and by chance stumbled upon this amazing Armenian family of jewellery artisans. Together we made a piece of jewellery and I became mesmerised by the processes involved, not to mention the final result. I knew I had to design for the rest of my life! I love dandies and their distinguished style. Each time I have looked at the way they dress, I noticed something was missing: a very refined pair of cufflinks to complete their almost perfect looks. This simple idea inspired me to come up with sophisticated, cool cufflinks, which would become “objet du désire” for the dandies of today. 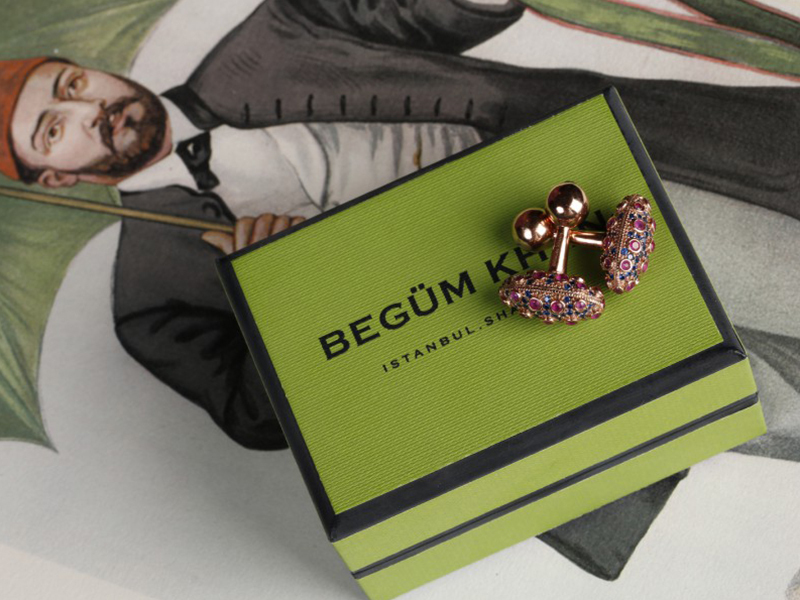 From the get go, Begüm Khan cufflinks were hand-crafted in Istanbul with precious materials by skilled artisans. Even though office and production were always based in Istanbul, we made our first debut in Shanghai. I thought of myself as one of the designers of the future, and so I should start at the place of the future: Asia. From Shanghai, we quickly expanded to Hong Kong with Joyce, to Tokyo with United Arrows, to Singapore with Tangsand many more… Nowadays we have expanded to Europe, Australia, Middle East and USA. Begüm Khan cufflinks are currently sold in twenty countries. What are Begüm Khan’s philosophy and positioning? I always wanted to create pieces that I love, that inspire me and that I find interesting regardless of the market. My brand is not commercial and I don’t want it to be so. Sometimes I launch designs that I love but that I know won’t sell well because they are not “conventional” but that does not interest me. I would never create something I wouldn’t wear myself. I have an artistic approach to design and it is very personal to me. I wouldn’t change it for anything. I have a whimsical taste and strange things appeal to me. I see beauty where many people see weird. This is why I especially love bugs, scarabs, spiders and roosters. The anonymous artists and artisans of the old world inspire me. I’m fascinated by their passion, their devotion and the work that was put into each piece. It is rare to find that calibre of excellence today. This is why it is so important for me to collaborate with artists from Istanbul’s Old Town. I want to help them transition into the contemporary world under BEGÜM KHAN, while helping to sustain the craft heritage and give it a contemporary twist. It is how the “old world and modern day Istanbul” meet in my work. 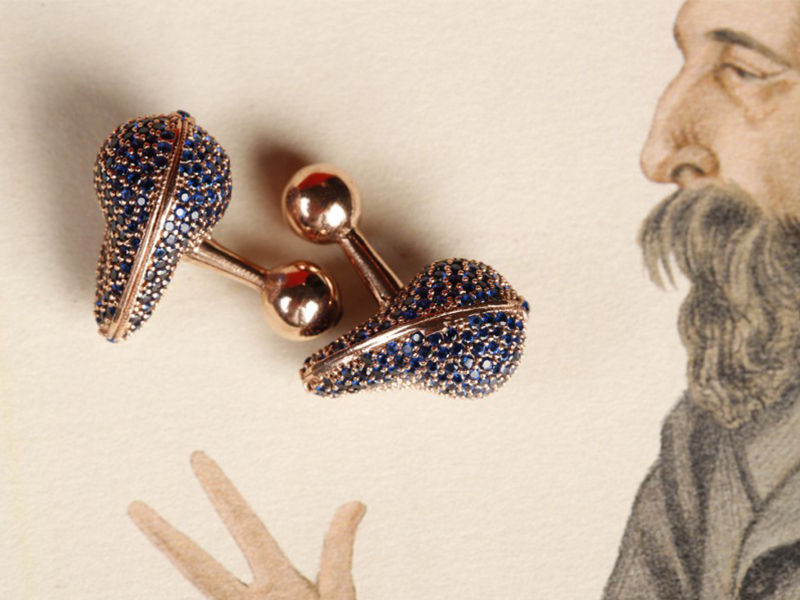 What do you think is the future of fine jewellery for men? Men have been increasingly experimenting with new designs and in particular jewellery; they have become bolder in their choices. Three years ago, when men saw a lapel pin I had designed, they told me they would never wear it. Now, that same pin has become one of my best sellers. 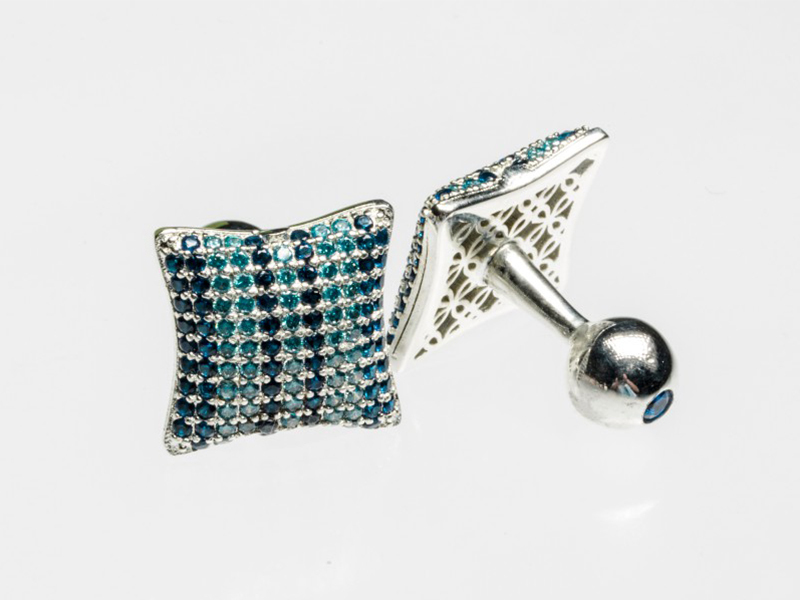 I design for men but I think it is true to say my cufflinks are unisex as I have many women clients too. I have also been designing women’s jewellery for myself and even though I haven’t yet launched anything, it now amounts to a quite large women’s collection that is just waiting to embrace the world.